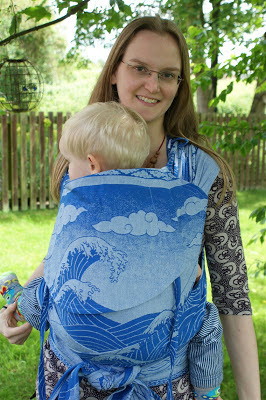 I have admired and longed for an Oscha Okinami wrap since Oscha released the first one, but I have never been lucky until the recent random draw for Okinami Skye, where I managed to get a size 7. I have always admired Okinami wrap conversions, so when my Monkey Mei Tai slot came up the same day I got an Okinami wrap (having waited since last October), I knew it was meant to be! 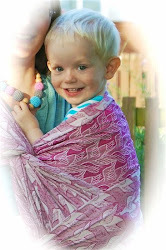 Helen Coulson at Monkey Mei Tai was very excited to receive my wrap, as she has also be a long time fan of the Okinami pattern, and the end result of the conversion is simply oozing with Helen's enthusiasm and artistic skill. 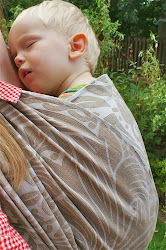 The wrap itself is stunning. 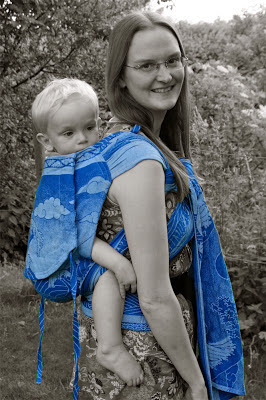 The blue colour is vibrant and elegant, and I feel that it suits the pattern beautifully. 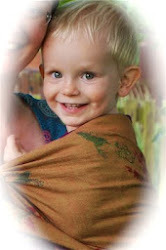 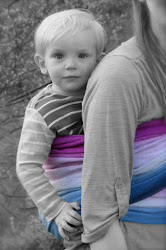 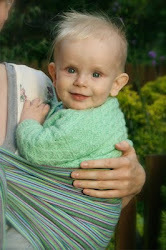 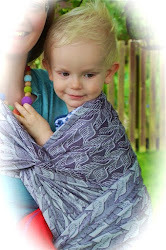 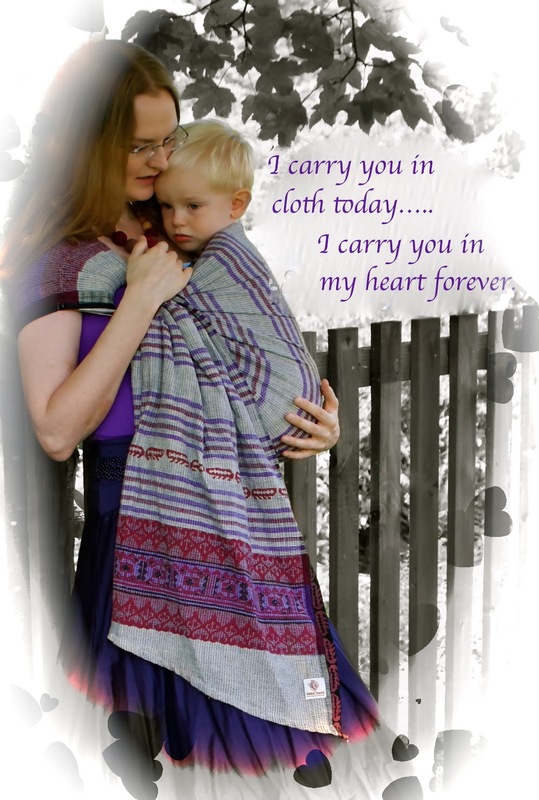 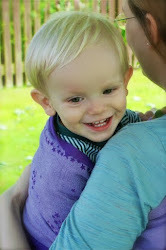 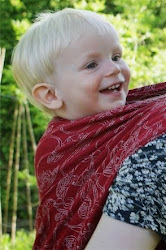 It is a medium weight wrap, and for 100% cotton it is very supportive. 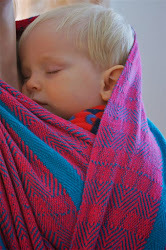 I always knew I would feel slightly frustrated when wrapping with the Okinami pattern, as being a perfectionist I would always want the design to look perfectly central. A wrap conversion was the natural solution, as the design is always fixed in the perfect position on the main panel. 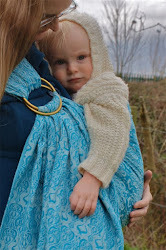 Helen did a perfect job of matching up the hood with the main panel, and even managed to make the carrier reversible, with the same perfectly aligned design on the back. 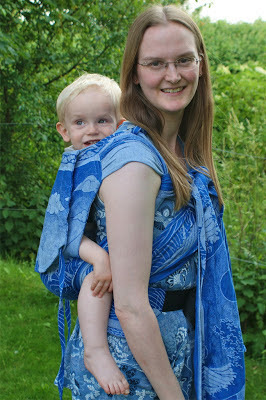 I gave her free reign to use the fabric as she wished, and Helen used it perfectly, continuing the wave pattern on the waist band (which I chose to be a buckle waist) and used the pattern perfectly on the wrap straps. 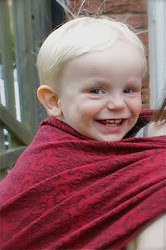 I am completely thrilled with the end result! The carrier itself is incredibly comfortable on both my front and back, with the spread wrap straps adding extra support. 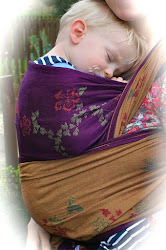 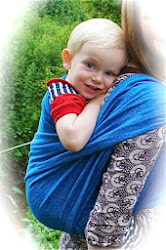 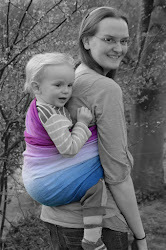 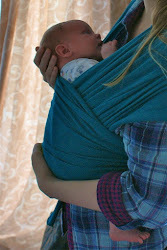 My son goes into the carrier very easily, and feels completely weightless, and the lovely medium weight Okinami wrap, offers plenty of support. 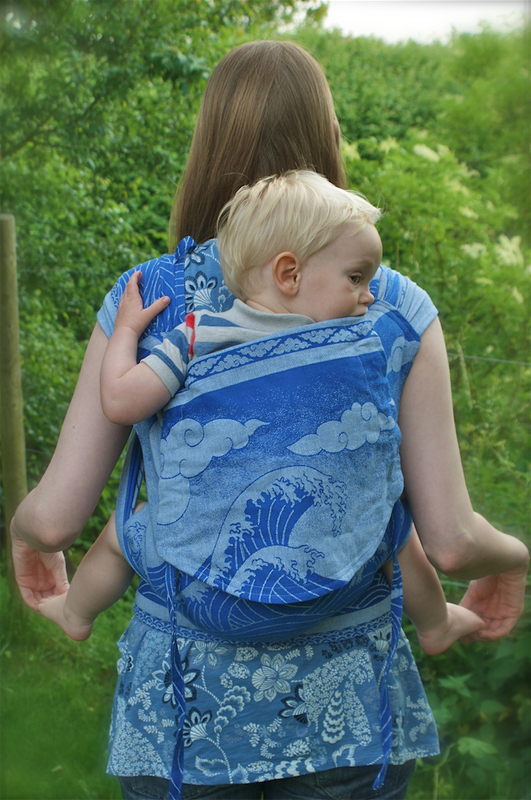 This carrier is a true work of art, combining the artistic skills of both Oscha and Monkey Mei Tai perfectly. 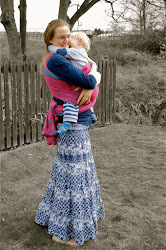 Who have you worn this weekend?